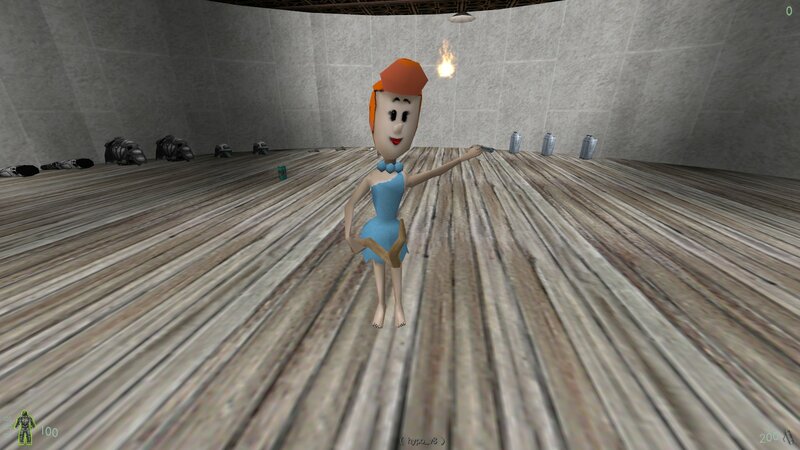 In the early years of Kingpin EvilBunny released the first custom player model for Kingpin called Anthea. Not only was it the first but it was an original model (most player models in Kingpin are converted from other games). He also created another model called Coffy but left the Kingpin scene before releasing it. Luckily I saw him in a server rcently and got him to send me the model. Coffe is another original model. Coffe is a black female, has full Kingpin weapon support but uses a bat instead of the pipe. She also has sunglasses and raybans as extras. EvilBunny only made a couple of skins so I asked Rat to make a few more which he did. 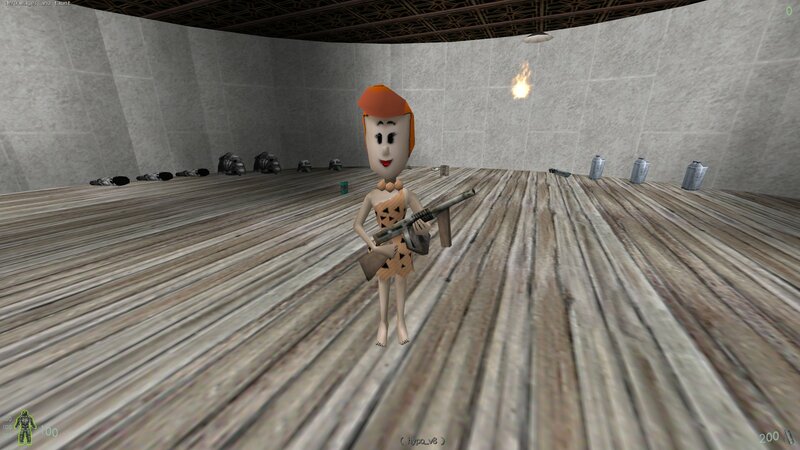 You can download the Coffy model from here. 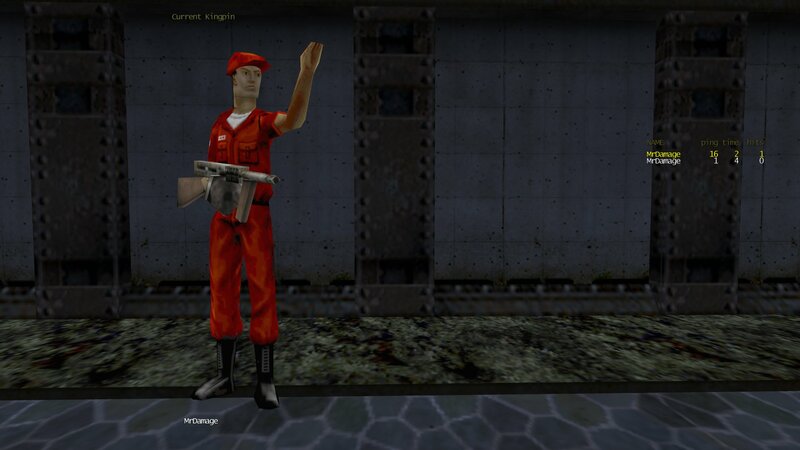 Here is the fourth and final player model that Hypov8 recently updated. 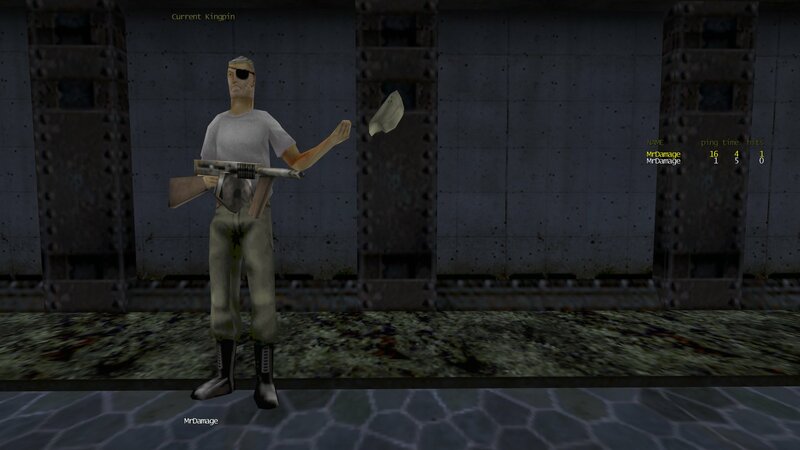 This one is the male player model called Krafty. For this model he added Kingpin weapon support. I have now created a new zipfile for the Krafty model which contains all the model files, the few skins that are available for it (including 3 new ones converted from Quake 2), GunRace weapons and Krafty player sounds. You can download the Krafty complete model package from here. Here is the thid player model that Hypov8 recently updated. 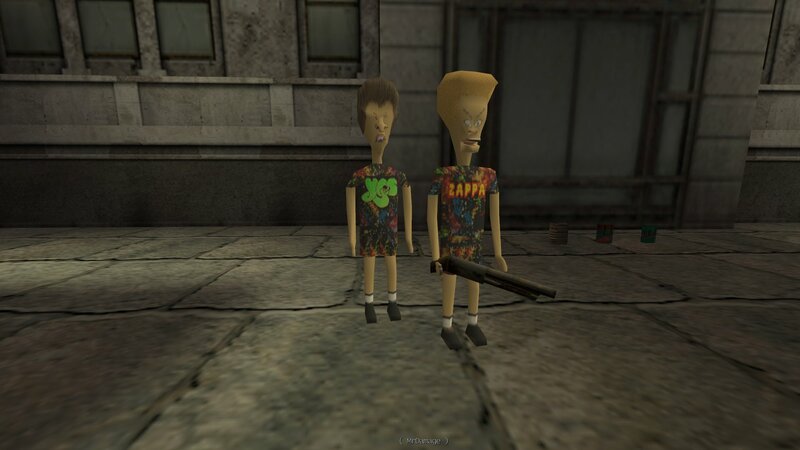 This one is the famous carttom characters Beavis & Butthead. For this model he rescaled and centred it and fixed the seam. I have now created a new zipfile for the B&B model which contains all the model files, the few skins that are available for it, GunRace weapons and B&B player sounds. 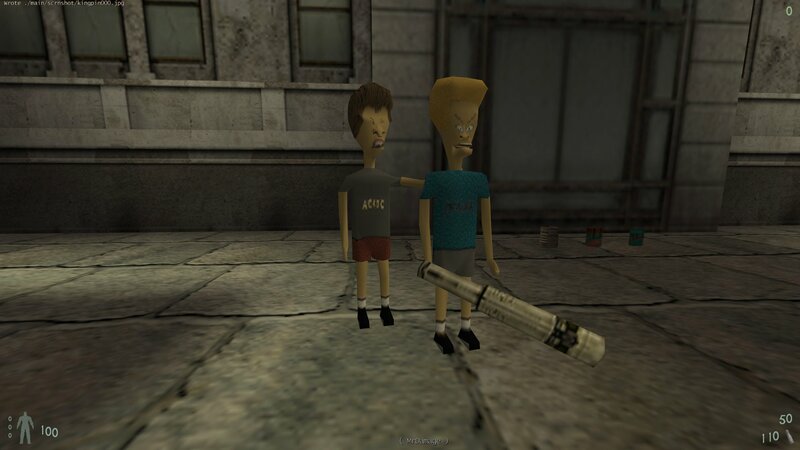 You can download the Beavis & Butthead complete model package from here. Zeppelin[FnR] is currently in the process of converting the Leela player model to Kingpin. There is already one player model from Futurama in Kingpin. You can grab the Bender model from here. Just extract/unzip the files to your Kingpin folder and they wil be placed in the correct locations. Deadlock had the same issues as the female player model Sydney did. That is that some of her weapon skins didn't show up in game. 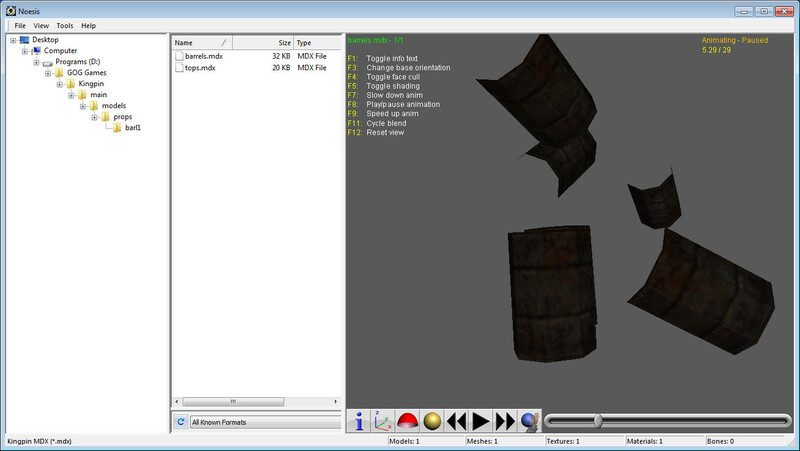 Elfor has also fixed those issue for Deadlock and put together a new zipfile for the model. Deadlock is basically the same model as Sydney except Sydney uses custom viewable weapons and Deadlock uses standard Kingpin viewable weapons. 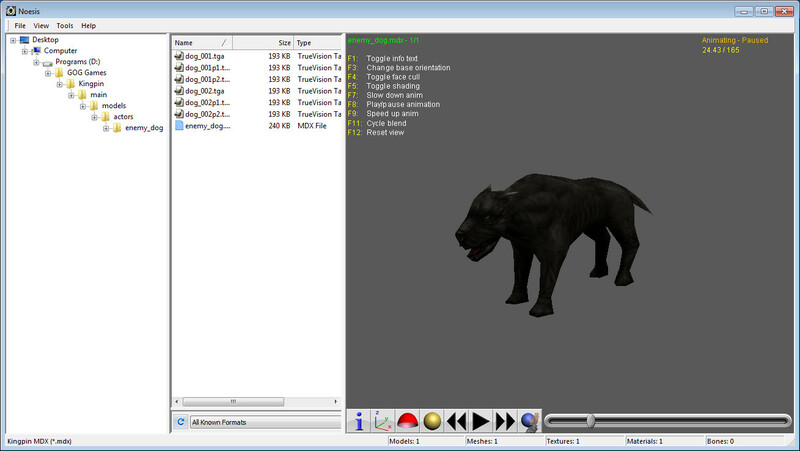 There are a large number of custom skins for the model included in the zipfile. 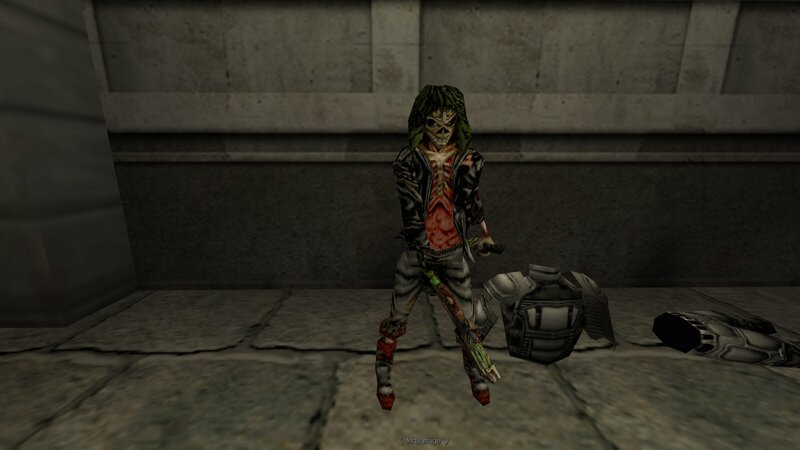 You can download the updated Deadlock player model from here. 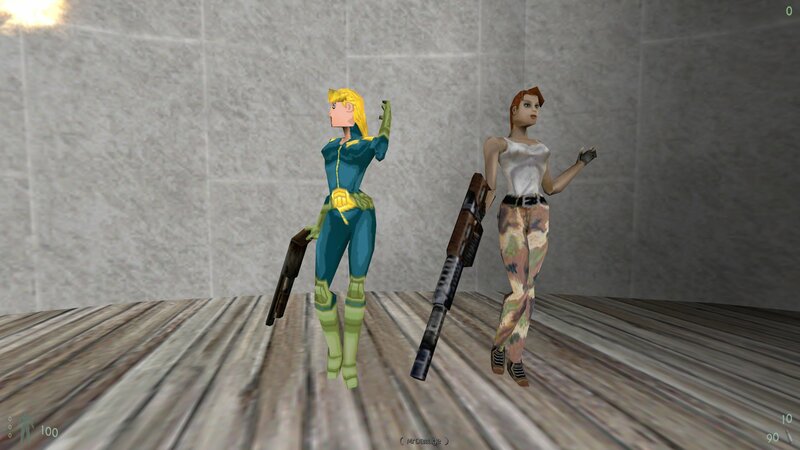 There were some issues with the Female Sydney model where some of her weapon skins didn't show up in game. Elfor has fixed those issues and put together a new zipfile for the model. 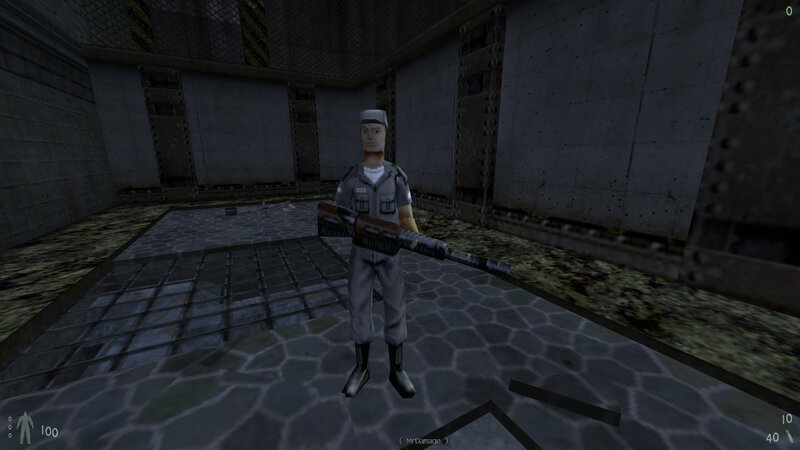 The model was convertted from Quake2, many years ago, and uses Quake2 and other custom weapons. So you don't see the normal Kingpin weapons being used by her but custom ones. The zipfile also containe all known custom skisn for the model and there are a ton of them. 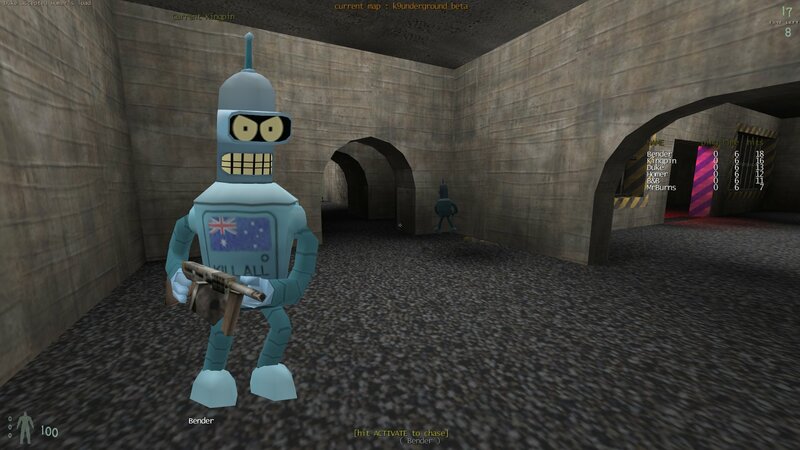 You can download the updated Sydney player model from here. 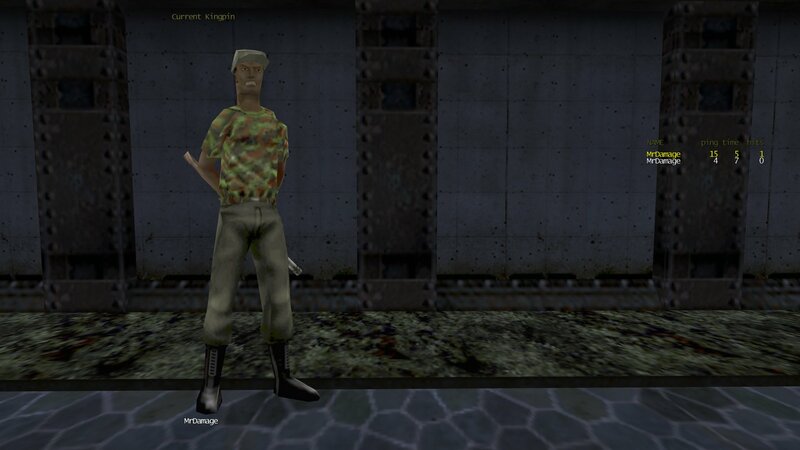 Hypov8 and I have collaborated on a new player model called Male Soldier. 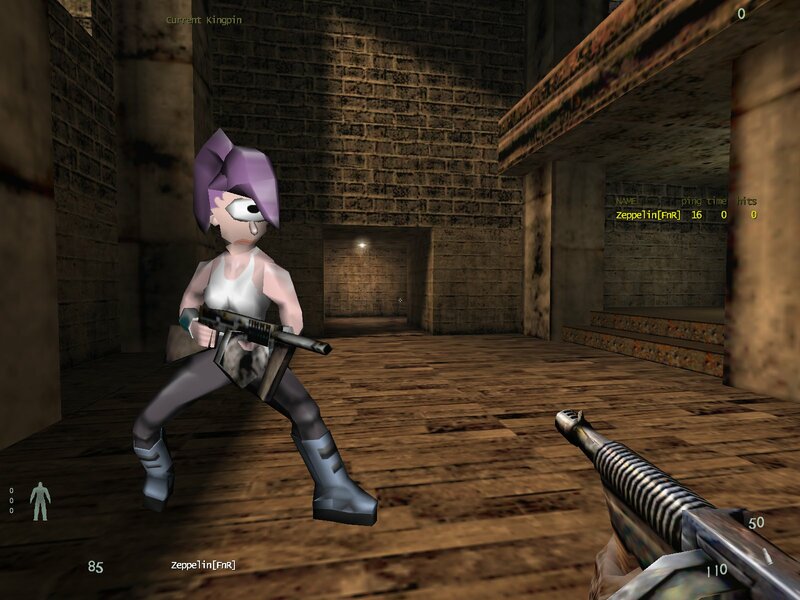 It is converted from Quake 2 and somewhat improved. 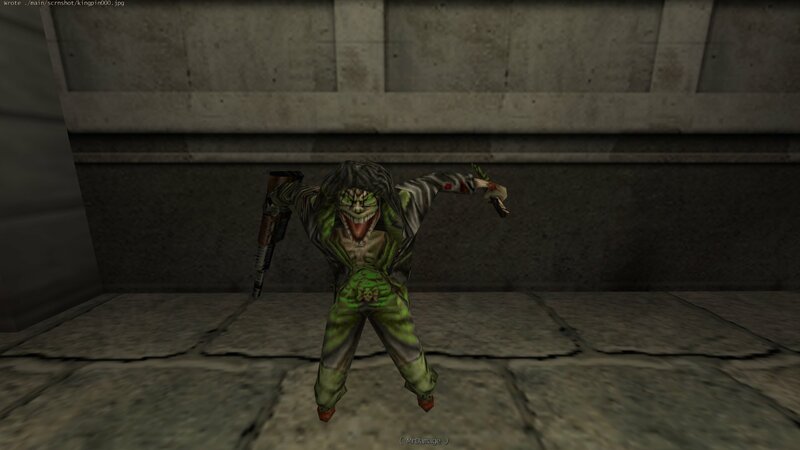 The original model in Quake 2 was made by Daniel Garcia Romero - The ][ead Crusher. It’s the first model I have made for Kingpin and it was a very challenging experience. It's a fairly simple model that is a Military Policeman or Soldier. The model has full Kingpin vwep support, some nice taunt animations, and several skins. You can download Male Soldier from here. 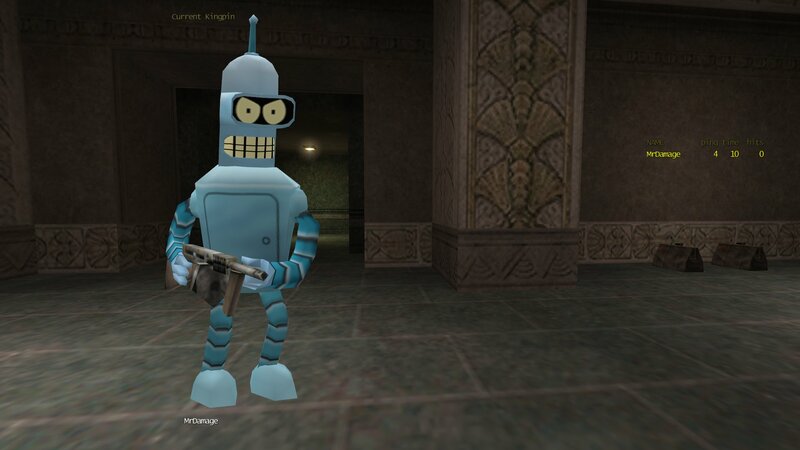 You can download Bender from here.